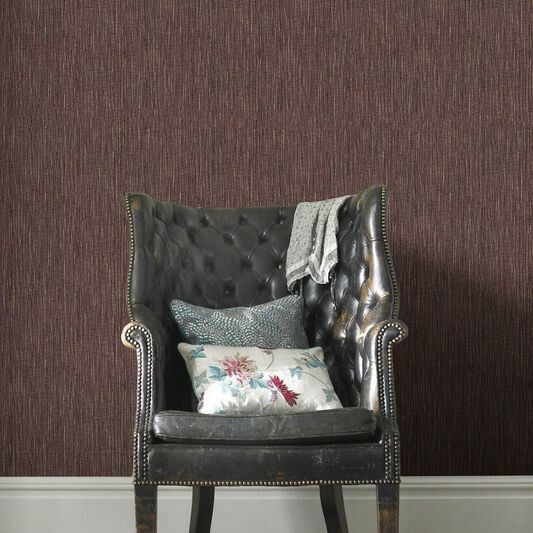 The simplest way to update your home during the autumn and winter months is to switch up your wallpaper and thanks to our stunning selection, finding the perfect design couldn’t be simpler. There are many things to consider when choosing a seasonal design and the perfect choice will depend on your current home décor and the latest décor trends. Here is our top wallpaper picks for this season and the next. Metallic wallpaper looks stylish all year round but incorporating a metallic design that boasts deep copper and bronze tones can really add warmth to your interiors. One of our top picks for the seasons ahead is our Gloriana Copper wallpaper which features a dramatic damask print and a combination of matte and metallic finishes. This design would look stunning in a contemporary bedroom as the metallic elements keep it on trend while the print adds a touch of grandeur to the room. Copper may be the metallic of the moment but gold will always be a timeless choice for the autumn and winter seasons. Sticking with the damask theme, our Desire Gold and Mustard wallpaper is another ornate option for the master bedroom. One of the simplest ways to update your home with the seasons is to take your inspiration from nature itself. With its shimmering tree scape design, our Linden Pebble and Rose Gold wallpaper lends itself naturally to the autumn and winter months. Rose gold was one of the summer’s hottest design trends but here we see how it can be adapted with a nature inspired feel. 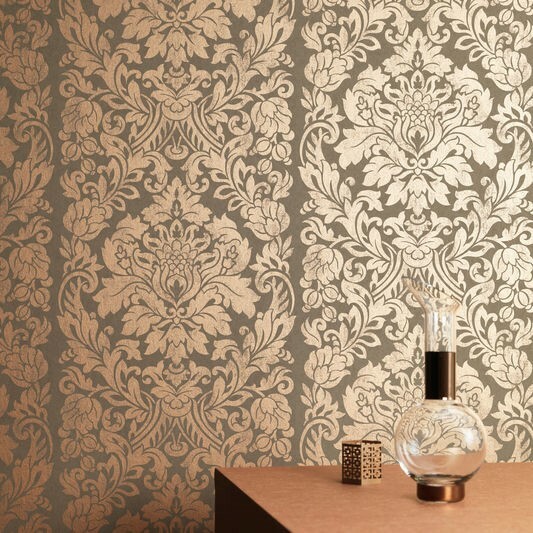 This wallpaper is both a timeless and elegant design that will update any bedroom in the house in a flash. Blur the distinction between the indoors and outdoors with this tree scape print. Updating your home for the autumn and winter months needn’t be tricky. Be inspired by our top seasonal wallpaper picks.